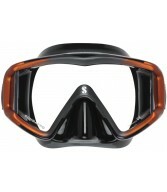 Like its name implies, SCUBAPRO's new GO fin is designed for traveling. Lightweight: When it comes to premium travel fins, nothing compares to the GO when integrating high quality with light weight. For example, a pair of size M-L GO fins weighs in at a mere 1.2 kg/2.6 lbs, including bungee straps -- again, that's for a pair. This translates into convenience and weight savings on the road, and comfort and ease of use in the water. Super Comfortable: The GO's Barefoot Design combines the fitment benefits of an open heel fin, with the comfort and barefoot freedom of a full foot fin. 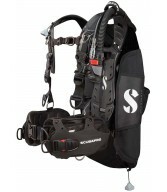 The replaceable self-adjusting bungee heel strap allows for a versatile fit -- one diver can wear multiple sizes. 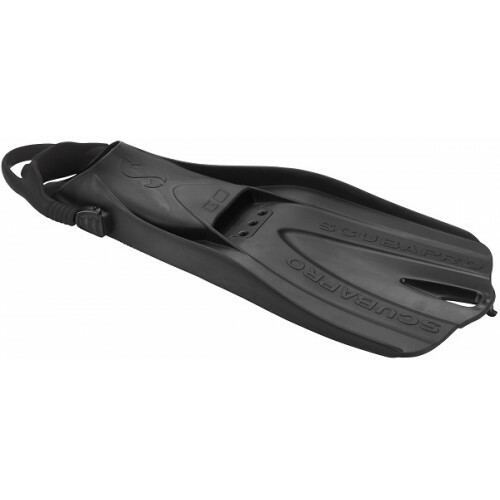 The strap also makes it easy to don and doff the fin, and it fits comfortably against a bare heel -- although the GO will also accommodate neo socks for divers who prefer a little extra foot protection. Travel Friendly: Being lightweight is always a plus when traveling, but so is compactness. GO fins are designed to fit easily in IATA carry-on compliant luggage. Even better, they pack extremely well due to an innovative Piggy Back Stack system. An interlocking tooth on one fin blade hooks into the second fin, then the bungee strap from the second fin hooks the heel of the first fin into place. It's a snug pairing that makes packing and traveling that much easier. The perfect addition to the SCUBAPRO fin range, the GO dedicated travel fin is lightweight, comfortable and virtually indestructible. It is easy to travel with and really fun to use. 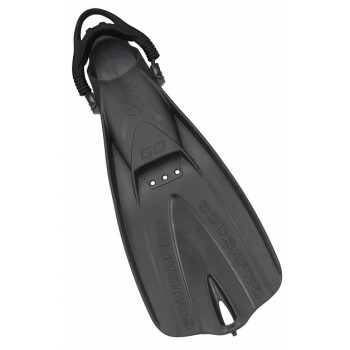 That makes the GO the ideal fin for travelling divers and water lovers the world over.